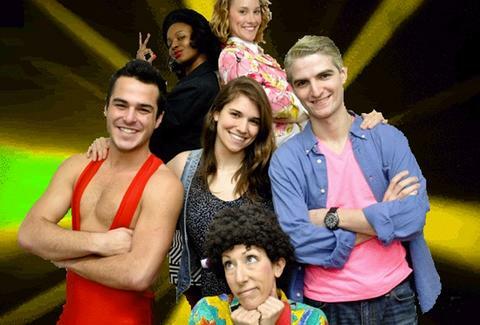 Slater battling with his perhaps-too-fervent love of singing... and dancing... and rainbow singlets... and Zack. Screech played by a 41yr-old woman from Long Island who, "although raised an orthodox Jew... hopes to join the Hitler Youth some day". A subplot involving Mr. Belding possibly having murdered his wife, which was added because the "actor who plays him is creepy now". Lisa not realizing she's black until halfway through the show. Your move, dude from Scrubs! But that's not all! As an added bonus, you can even stick around after the show's over to "sit on Kelly Kapowski's Lap", a situation that most people have been trying to avoid ever since The College Years.